Erdogan supports the territorial integrity of Ukraine. Turkey does not recognize the results of elections in the State Duma of Russia, held in the occupied Crimea., Haberler wrote with a reference to a 22 September statement of the Turkish Foreign Ministry. 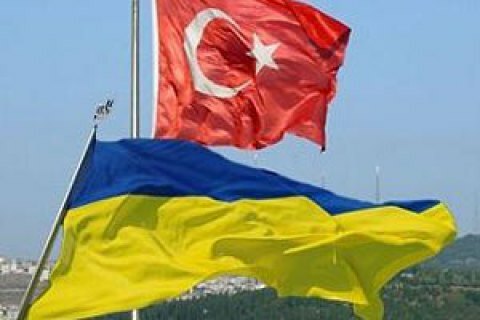 "Turkey supports the territorial integrity of Ukraine, and in this regard we consider the elections held last week in Russia. Therefore, the results of elections in Crimea, in our opinion, have no legal force," the press secretary of the Ministry, Tanju Bilgich, said as quoted by the publication. On September 21, Turkish President Recep Tayyip Erdogan congratulated Russia's Vladimir Putin with the successful elections to the State Duma. On the same day he met with President Petro Poroshenko and promised him support in " the restoration of the sovereignty and territorial integrity" of Ukraine. Ukraine calls upon the international community not to recognize the results of elections to the State Duma as regards to the vote in the occupied Crimea. As reported, the EU does not recognize the elections to the State Duma in Crimea. Similar statements have been issued by France, Poland and Germany. On September 20, Ukrainian parliament recognized the new composition of Russian Duma illegitimate. Besides, Ukraine filed a lawsuit against the election in Crimea.